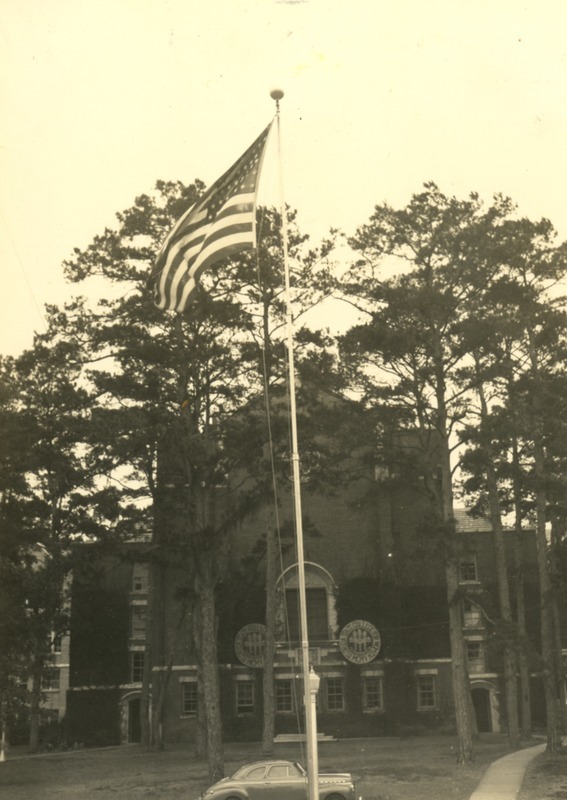 Special Collections & Archives will be closed Monday, May 28 in observance of Memorial Day. We will resume our normal hours on Tuesday, May 29. We wish you all a safe and fun holiday weekend! All of us here in Special Collections & Archives wish you and your family a safe and wonderful holiday season! The cover from Dear Santa Claus: charming holiday stories for boys and girls, 1901 (original item). We’ll be open 10 a.m. to 4:30 p.m. Monday and Tuesday, December 18 and 19, 2017. We’ll be available by appointment on Wednesday and Thursday, December 20 and 21, 2017. To schedule an appointment, email lib-specialcollections@fsu.edu or call (850) 644-3271. We’ll be open 10 a.m. to 4:30 p.m. starting Tuesday, January 2, 2018 through Friday, January 5, 2018. From all of us here at FSU Special Collection & Archives, we wish you and your family a safe and lovely Thanksgiving holiday. Special Collections & Archives will close at 11:30am on Wednesday, November 22 and remain closed Thursday and Friday, November 23 and 24. We will return to our normal operating hours on Monday, November 27. For up to date information about the Libraries’ hours, visit the Hours page on the website. The Special Collections & Archives Research Center and Norwood Reading Room will be open 10am to 4:30pm Monday, December 19 to Friday, December, 23. The Claude Pepper Library will be open 9am to 5pm Monday, December 19 to Thursday, December 22. The Pepper Library will be closed on Friday, December 23. The University, including the Libraries, will be closed Saturday, December 24 through Monday, January 2, 2017. All Special Collections & Archives locations will resume our normal operating hours on Tuesday, January 3, 2017. From all of us in Special Collections & Archives, we wish you all a very happy and safe holiday season! Special Collections & Archives is closed today, Monday, September 5th in observance of Labor Day. Please enjoy a safe and pleasant Labor Day weekend! We here at Special Collections and Archives would like to wish George Washington a happy birthday. Though President’s Day was originally created to honor our nation’s first Commander in Chief, many states have since adapted it into a joint celebration which includes Abraham Lincoln’s and George Washington’s birthdays. President’s day, federally known as Washington’s Day, originally fell on George Washington’s birthday, February 22 but in 1971 was moved to the 3rd Monday of February under the Uniform Monday Holiday Act. Montana, Minnesota, Utah and Colorado all recognize today as an official holiday honoring both Washington and Lincoln, whose birthday was on February 12th. With election season in full swing, we’d like to take the time to honor all of the United States’ presidents. 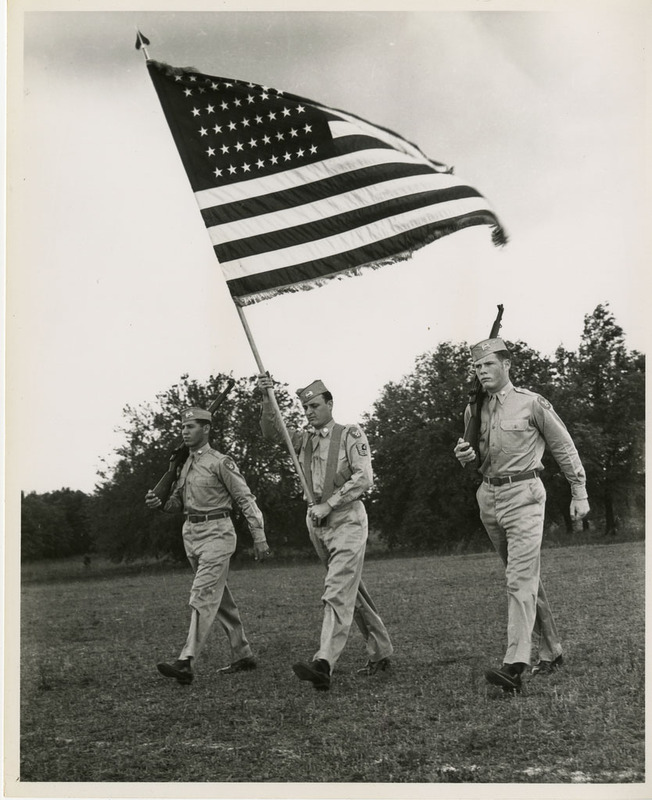 ROTC members in the 1960s with the American flag. Original Object is in the FSUDL. Special Collections & Archives will be closed today, July 3rd in observance of Independence Day. We will resume normal operating hours on Monday, July 6th. All of us here wish you a safe and happy holiday!